Instagram is one of the most popular platforms these days. If you are running a business, you can take advantage of this popularity and grow your audience in no time. All you need to know is to create an account for your business and start producing some quality content to attract people to your page, gain followers, grow your engagement rate, therefore gain customers and grow your business and brand. But this is not enough if you are starting up. Brands can easily promote themselves on Instagram because they don’t need to introduce themselves, people already know them. So, if you have a small business start-up, you can get help from somewhere else to promote your business and become one of the successful brands on Instagram and maybe someday one of the highest brands on the world! 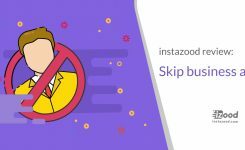 There are some tools you can use for that cause; today I will introduce one of them to you which is proven to be the best Instagram bot and the best alternative to Instagress. One of the ways to gain more followers on Instagram is to find people who might be interested in your content and contact them via like, comments and by following them. This way they will get curious and check your account up, and if they like what they see, they will follow you too. This process takes a lot of time and effort if you try it by yourself, it can be overwhelming to find these targets and contact them one by one. The Instagram bot can help you with that. It is an Instagram automation tool that takes care of promoting and follower gaining for you. It will find targets that might be interested in your content buy the conditions you choose for it and functions as a real person. 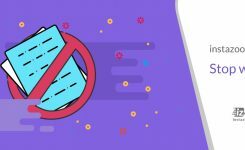 This way you will save a lot of time to spend on your more important daily activities, and you will gain more followers (real followers) which can be your future customers. 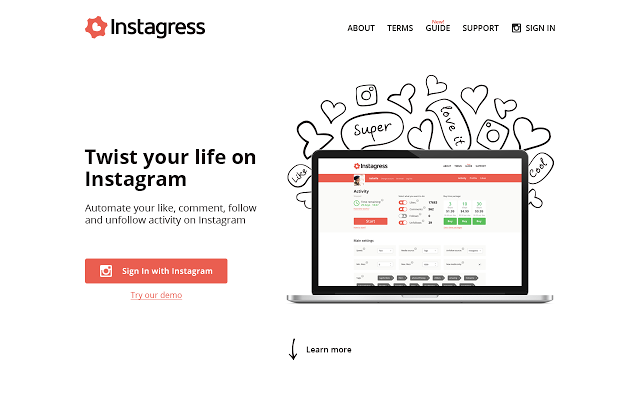 Instagress was the most popular Instagram bot on the internet. It was the first result when searching Instagram bots on google. So really trending. However, unfortunately, on April 20, 2017, it shut down by Instagram. Which kind of comments should I choose? Note! You should use different variations, and your sentences must contain at least 5 or 6 words. These one-word comments are some kind of spammy and get you into trouble. 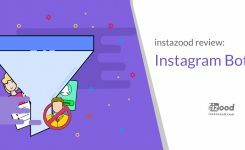 Instazood is the new Instagram automation like Instagress but improved and with a lot of new features. This trending Instagram bot is the first search result of Instagram bots and has a lot of great reviews everywhere. So you can say its functional and to be trusted. A lot of filters to manage the follower gains. Ability to choose targets to get followers from. Free trials to try it first. Ability to add several accounts in one user panel.